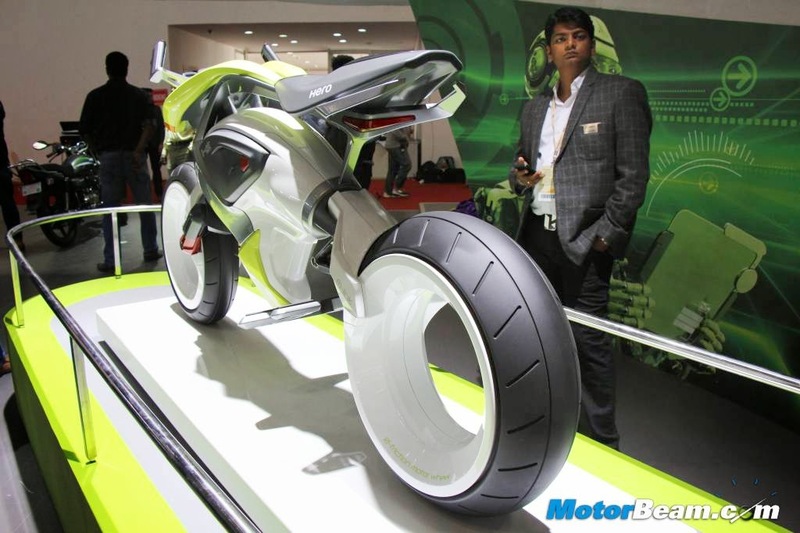 An Indian motorcycle manufacturer, Hero MotoCorp showcase their latest motorcycle technology in India Auto Expo 2014 some times ago. 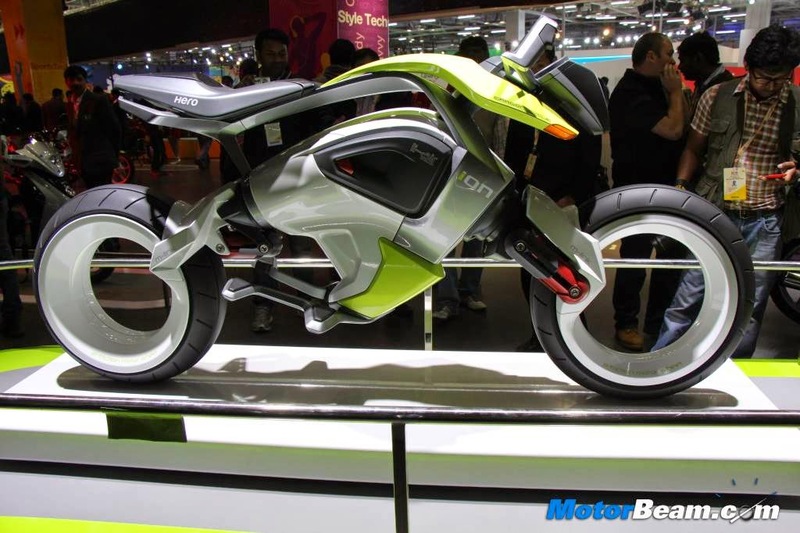 The electric motorcycle concept was used hydrogen fuel and given a name 'Hero iON'. This bike was arguably a new leap in the alternatives-powered motorcycle industry. 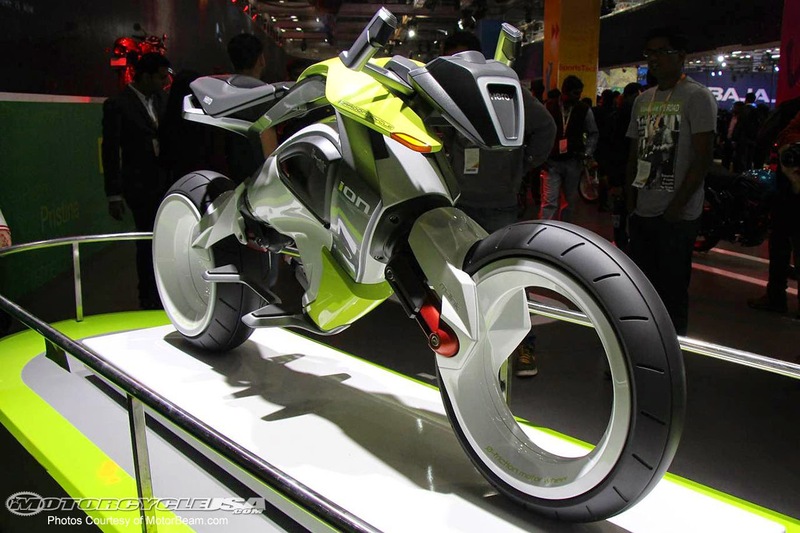 The iON uses advanced lithium-air (Li-air) batteries and a hydrogen fuel extender with super capacitors to power the two-wheeler. In contrast to its brother, Hero Leap Hybrids that use lithium-air batteries. 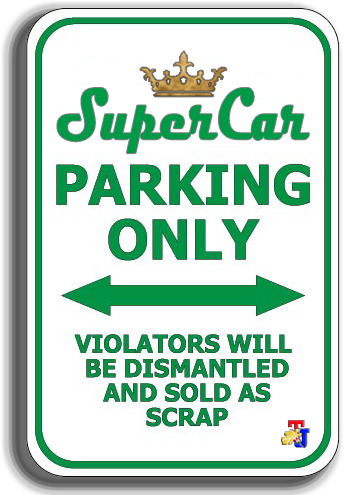 Lithium-air technology theoretically offers an energy density several times higher than conventional lithium-air, which is commonly used by most electric motors. Hero Electric motors use hydrogen fuel has a minimalist design with single-seater and claimed to be very environmentally friendly. In a full battery condition, it able to run the vehicle up to as far as 180 miles or about 300 km and has a top speed of 99.4 mph (160 kph). And going from 0-62 mph (100 kph) in five seconds. The electric motor doubles up as a brake and delivers its power through a conventional tyre mounted to a less than conventional hubless magnetic wheel. The bike does away with a normal twist-grip throttle and is fitted with trigger-like buttons fitted onto the handlebars. The controls feature ride-by-wire technology allowing the iON to integrate multiple onboard traffic-sensors and the VSA system (Variable Situational Awareness) to keep track of surrounding flow of traffic and collision detection.